Amanotes Pte. Ltd. is a Vietnamese mobile game developer that combines music and technology to make engaging games for people worldwide. 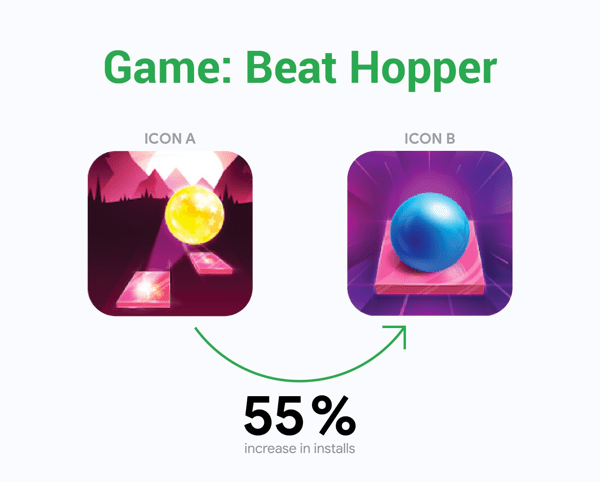 They were identified by the Google Play team at Indie Game Developer Day in Vietnam in early 2017 as a high-potential indie, and now they have over 100 million installs on the Play Store. Google Play's Early Access program presented a great way for Amanotes to place their open- beta titles for early-adopters who were eager and willing to send Amanotes actionable, private feedback. Amanotes submitted two titles - Beat Hopper and Magic Jump, and the Google Play team then selected these games for the Early Access collection to get valuable feedback from players. Amanotes wanted to conduct pre-launch tests for these titles to gauge retention metrics, engagement, and gameplay feedback. Additionally, they conducted A/B tests on icons, screenshots, and game levels. Amanotes added some new features (such as using music from players' phones and the ability to add more levels) into their games, which were a result of the user feedback they received in their game reviews. Based on the feedback, Amanotes was able to prioritize launches and allocate more resources to titles that showed more promise of engagement and positive reviews. In particular, for an indie developer, the ability to improve the cost of user acquisition is especially important, and Amanotes was able to make significant improvements to this. "The early access program helped us to embrace the idea of "Fail fast, Learn fast" at the fullest by exposing our product MVP to users faster, test our hypothesis faster, and make a user-centered decision faster", Silver Nguyen, Co-founder, Amanotes.